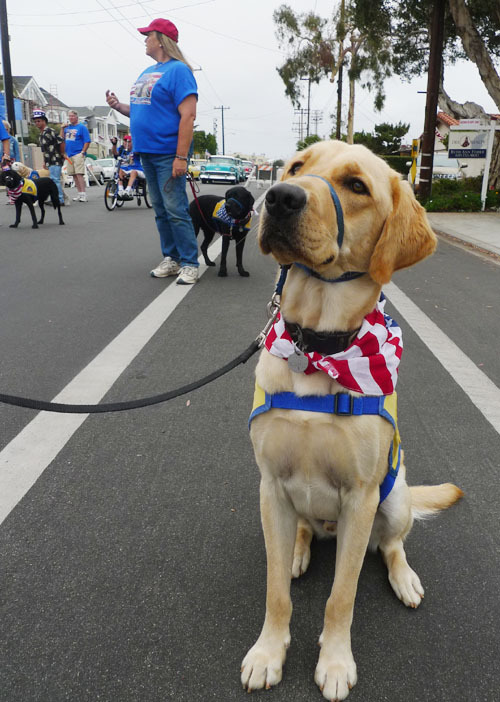 Brando and I felt honored today to be a part of the first ever Canine Companions for Independence (CCI) Puppy Precision Drill Team, in its debut at the City of Coronado’s Independence Day Parade. In a nod to the fact that the actual 4th this year falls on a Sunday, a day when much of Coronado has churchly duties, the parade was shifted forward a day. As far as I could tell, the change didn’t reduce the turnout much. Orange Avenue was crammed with enthusiastic spectators. And our drill team delivered, in the way of spectacle. For the first time ever, all of the puppy raisers wore a sort of uniform, and our puppies not only were caped but also sported patriotic bandannas. Best of all was our precision marching and crisscrossing and halts at which we ran through a sample of CCI puppy commands: Sit! Shake! Down! Stay! Let’s Go! 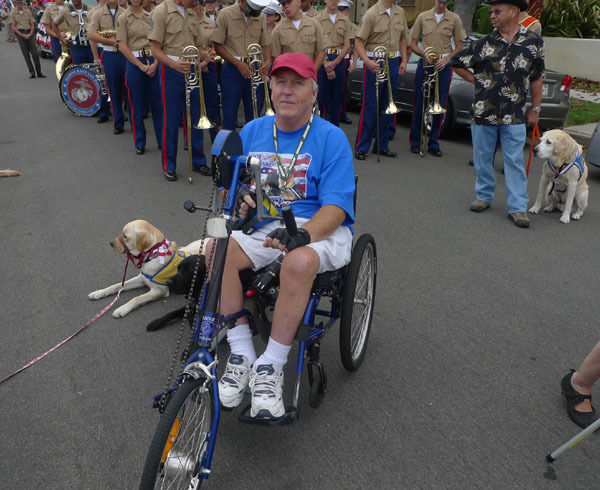 Veteran puppy-raiser Jim Siegfried employed his best football coach voice and whistle-blowing skills to prompt us. You can’t hear the whistle signals on the following video, but they worked just fine in real life. 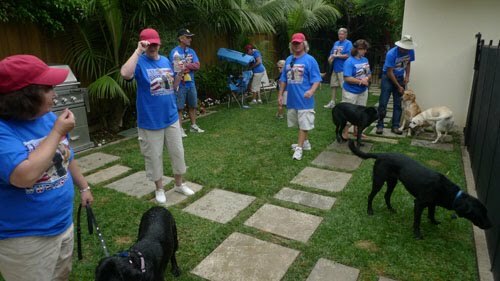 After all the parading and performings, we wound up at the amazing home of CCI patron Jeep Rice, who once again opened his beautiful home to a horde of frolicking puppies and their puppy raisers. Brando had such a good time that he’s now fast asleep. And I’m dreaming dreams of glory. Today the Coronado Independence Day Parade. Tomorrow: the Rose Parade?